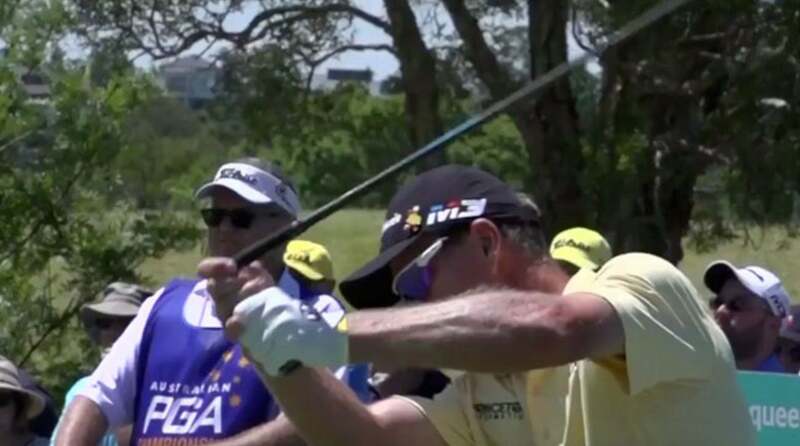 John Senden's club snapped on his downswing at last year's Australian PGA Championship. Rules Guy: Is asking whether or not to move a mark considered advice? In golf, a stroke is defined as “the forward movement of your club to strike the ball.” Apex of the backswing wouldn’t cost Mr. Snappy a stroke; in every instance of starting the downswing, it would, with the lone exception of the player immediately stopping the swing upon shaft breakage. Even swinging away from the ball still counts as a stroke in this instance. In match play, the group can make the determination of when the shaft broke among themselves; in stroke play, you’d want to present all the viewpoints to the film critics, er, golf committee, and let them sort it out. Got a rules question? Of course you do! Whatever it may be, send yours to [email protected] and the question may be answered in an upcoming issue of GOLF. Until then, play by the Rules!